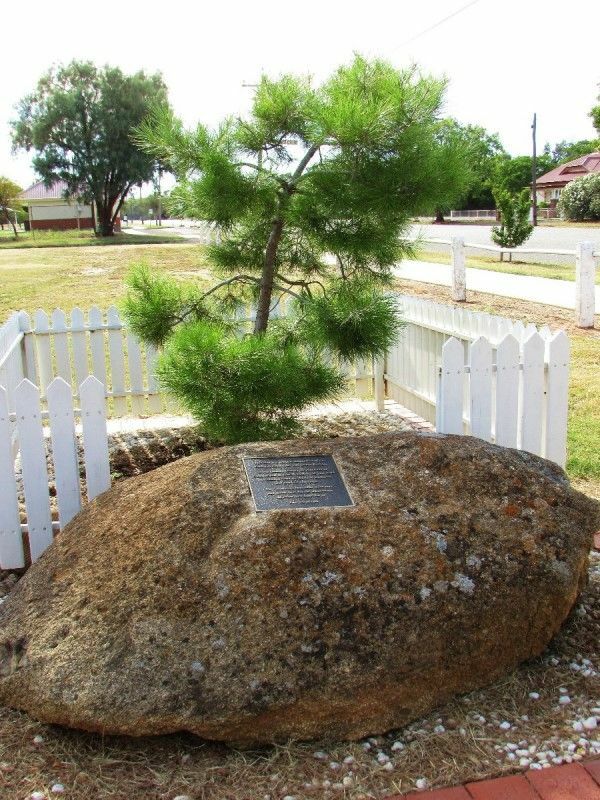 A Lone Pine Tree was planted to commemorate the centenary of the Battle of Gallipoli in 1915. The Gallipoli Campaign of 1915-16, also known as the Battle of Gallipoli or the Dardanelles Campaign, was an unsuccessful attempt by the Allied Powers to control the sea route from Europe to Russia during World War One. 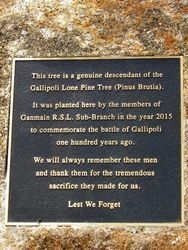 The campaign began with a failed naval attack by British and French ships on the Dardanelles Straits in February-March 1915 and continued with a major land invasion of the Gallipoli Peninsula on April 25, involving British and French troops as well as divisions of the Australian and New Zealand Army Corps (ANZAC). This tree is a genuine descendant of the Gallipoli Lone Pine (Pinus Brutia). We will always remember these men and thank them for the tremendous sacrifice they made for us.